The Jewish Community of Malmö was founded in 1871. We are a small and vibrant and democratic community of about 500 members. Our community centre at Kamrergatan 11 in Malmö plays a central role for the community members. It houses our administration and information centre, as well as our orthodox rabbi, preschool, kitchen, Jewish associations, education facilities and a combined prayer room and library. It is also a venue for meetings and parties. 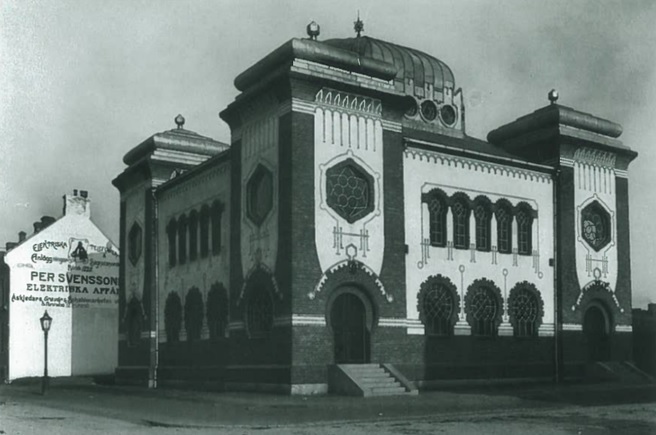 Our beautiful synagogue, which was inaugurated in 1903, is located close to the community, at Betaniaplan 2. 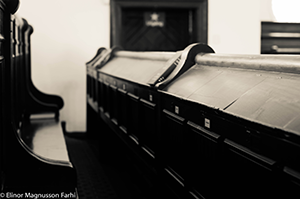 Services at Malmö synagogue are held mainly on Shabbat and the Jewish holidays. The synagogue services are orthodox. Once or twice a month an egalitarian shabbat service is also held at the community centre. The sale of kosher food products in Malmö is currently suspended (October 2018). The Jewish community is working on a solution to once again provide local sales of kosher food. Meanwhile, we refer you to Gils Deli in Copenhagen, or to an online kosher store such as Kosher4U. We can offer kosher takeaway lunch from our preschool’s kitchen, only during workdays. The kitchen can bake challot and cake available to be picked up for Shabbat. Food is kosher under the supervision of community rabbi Moshe-David HaCohen (Orthodox). Send request by e-mail to: sarah.hellstrom@chinuch.se 3 workdays ahead of time. 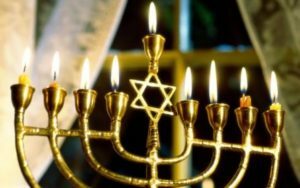 This kosher list is published by Rabbi Amram Maccabi of the Jewish community of Stockholm in collaboration with Moshe David HaCohen – the community rabbi in Malmö. Most products in Sweden do not have daily Hashgacha on them, nor will you find kosher stamps on them. Some products with OU, OK and KLBD may be found in stores as well. The local kosher standard followed in Scandinavia is based in local products, thereby including Pat Palter and Chalav Akum. As the list is in Swedish and a bit complicated to follow, you are welcome to contact Rabbi HaCohen with any questions that you may have. To visit the Shabbat service in Malmö Synagogue at Betaniaplan 2, please send a request no later than 3 workdays ahead of Shabbat with a copy of your passport (page with Passport No. and picture) to security@jssmalmo.se.